Audio branding combines sound, music, and voice to convey the essence of your brand. For classic examples of audio branding, think of NBC’s chimes and Intel’s bong. These sounds are as recognizable and unique as the company’s logos (or visual branding). Many companies neglect the auditory side of the brand when planning the business. But, it’s important to engage multiple senses of your customers so that your company stands out from the competition. If you think about radio and tv programming, every show has its own theme song that helps set the emotional tone. While you may not be able to sing along to every show’s intro, you’d definitely notice if it changed. Try imagining the tv show Friends with a different theme song. Nearly impossible, right? 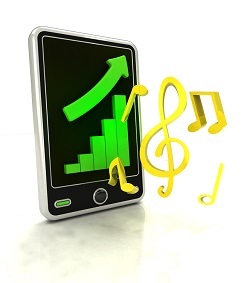 Audio branding truly is an integral part of the marketing mix. Jeffrey Hayzlett, host of the C-Suite with Jeffrey Hayzlett on Bloomberg Television, lists five steps creating a branding strategy in his article, The Language of Audio Branding. Hit the right emotional buttons. If you’re the owner of a small business, you might have fewer opportunities to create an audio brand than a large, national organization. However, even if you don’t have as many outlets, you can still engage your customers’ senses through phone messaging and on-hold music as well as via any videos that you post on your website. Make sure to follow the steps above so that you have the right match for your line of business. For example, if you’re a real estate agent, you may want a voice that is confident and trustworthy and music that has hints of nostalgia and hope. Having a child’s voice as your greeting and disco-tech beats for your on-hold music might not convey the message you intended to your customer. A little bit of creativity and attention to your audio branding can go a long way in setting your business apart. Stay on the top of your customers’ minds by engaging multiple senses! This entry was posted in Marketing, Music on Hold by Heather. Bookmark the permalink.